In the year 2016 things are fast changing in the ecommerce scenario. With growing competition that an online business portal faces, there are other considerations like customer reviews. Now that the customer is well versed with the technology chances are that they are already on a look out for something more. Customers are highly demanding and are on a look out for information and reviews. It is more about your online presence and reputation that demands precision in services like inventory availability, checkout totals and final pricing. Getting all this right is essential towards increasing your customer-base and to retain your existing customers. Similarly with growing needs it becomes essential to keep an eye on whatever is going on in the industry. For this purpose the article is compiled to bring our 5 hottest trends that are worth the watch. The latest that you will see is the utilization of mobile devices to make purchase. Often customers are shuffling between their tablet, smartphones and their PC to shop online. This is the way they do things as they are on the run and utilize whatever means is available to them for making a purchase quickly. It is all about making things available on demand and at the convenience of the customer. Secure mobile payment options that are easy to use are in high demand. It is essential to have an easy online payment option. Mobile rendering or designing websites that are optimized for mobile devices are essential. Here you need to consider faster load times and friendly UI. The brick and mortar store should be available as a mobile store for easy access and click integration should be available for faster access. The trend of social media and checking out reviews online is bigger than ever. Customers solely rely upon the reviews and views share online. Social mediums like Twitter and Facebook are fast changing the way customers react and reach out to a given store for purchases. Looking at this, it is essential to build a positive social base for an online store. The essential ingredient to watch out for is customer engagement that can only come through using social media for engaging with customers online. Another advantage of utilizing the social platform would be able to customize products as per demands of customers. It will not only help you shine amongst your competitors, but build a viable customer base. Utilizing big data analysis for understanding customer behavior and to shape up strategies accordingly. Things like Facebook campaigns and Pinterest activities will be the contributing factor. Interactive design would help in understanding what the customer wants. It will be a brand differentiator. With the latest trend of wearable technology now it is easier to access greater customer base. This is like business expansion and being available to customers on the go. With easy reach of internet without having to use a smartphone it makes things available within a span of second. Updates on pricings and customer incentives offered will be rapidly updated to the customer. Giving out real time information that is based on location based data. It would be easier to provide deals to a customer who is in the vicinity of the store while they are out taking a walk or a jog. The brick and mortar store will be in sync with the online store due to availability to more channels for quick access. It is all about being quick to react to customers’ demands that requires being accurate at the checkout point. A better inventory, same day service, shipping procedure and speed of service are necessary points to consider. When a customer is face-to-face with faster and better online services there is going to be less interest in physical goods. Overnight delivery options with a click of a mouse is requires. Inventory availability is essential for the business as well for customers to know the availability of items. The turnaround time for goods delivery is shortened with third-parts deals for accuracy and faster deals. 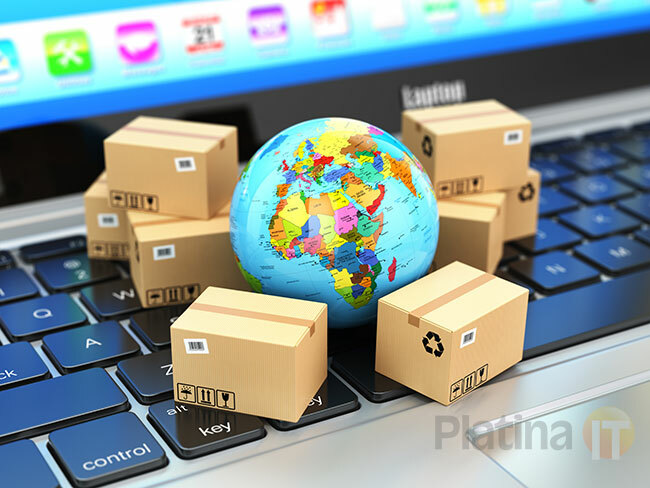 The biggest thing that comes into play is utilization of software that is great at providing all the essentials for your eCommerce. Undoubtedly the most popular name that emerges is that of Magento. The software is complete with all the templates, designs, tools and plug-ins that you will utilize to make things worthwhile online. After all it is all about a great presence that should reflect your brick and mortar store online in a great way. Customers would like to see things being presented in the best possible manner, numerous options to check-out and a better way to interact with the online store without any hassle. For this reason Magento stands out and is probably the most popular choice for eCommerce business. Incorporating all the essential elements into one online store is essential to expand your customer base. Additionally, utilizing social media platform to its best is a great way to go ahead with online brand building. Keeping up with the current trends is necessary for business expansion, for reaching out to larger customers and to market your products or services online.